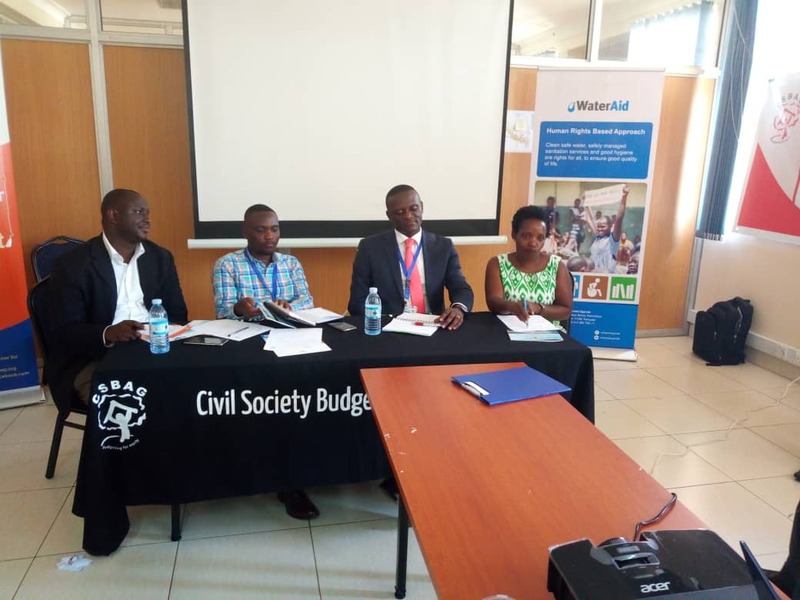 ENTEBBE – Civil Society Organisations (CSOs) have tasked government to increase funding of water, sanitation, and hygiene (WASH) programmes in government schools and hospitals saying the move will reduce avoidable expenditures. Speaking during a half day high-level dialogue on financing WASH on Tuesday, March 19, at Water Resources Institute in Entebbe that brought together stakeholders including government ministries, KCCA and CSOs, Mr. Frank Twinamasiko, a researcher said investing in water and sanitation sector reduces government expenditure by 7 percent. “Investing in this [Water and Sanitation] sector averts any possible diseases outbreak,” he said adding that government has not been budgeting for WASH intervention in schools yet it forms part of the necessary inputs needed to produce a healthy population. He said that the absence of handwashing facilities [water and soap] exposes the pupil to waterborne diseases like diarrhea among others. 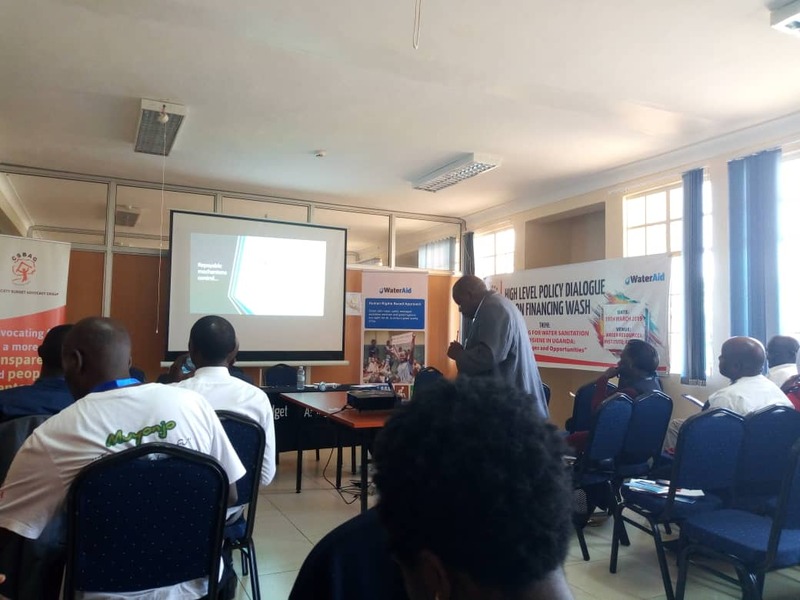 According to the study aimed at tracking WASH service delivery in Kamwokya and Kansanga parishes carried out by Civil Society Budget Advocacy Group (CSBAG) in partnership with WaterAid Uganda, there is a need to strengthen the WAS services delivery within schools and health facilities through routine inspections. The report also indicates a lack of water purification systems at Naguru Hospital. While Nsambya hospital lacks cleaners which leaves the cleaning responsibility to lower level nurses. The report also indicates that the facility also lacks access to primary health financing and the fence which increases its security risks including vandalization. CSBAG wants the government to establish guidelines that make it mandatory for schools to plan and budget for wash as the current system of lumping services delivery issues under administration costs is viewed as contingency issue. “This limits the schools’ ability to respond to identified WASH gaps to put in place Menstrual Hygiene management facilities as well as PWD s accessible toilet facilities,” they said in their report. The organization also wants the government to partner with other players in the private sector to enhance the project financing. Mr. Collins Amanye, the Principal Economist in the Ministry of Water and Environment said the two billion allocated to the programme by the government cannot change much but they are going to provide medium-term interventions to address the challenge. “We are going to make sure water services are provided for the average level person at reduced costs, he said adding that in the meantime, we need also to have shared sanitation setting. WASH is the collective term for Water, Sanitation, and Hygiene. Due to their interdependent nature, these three core issues are grouped together to represent a growing sector. While each a separate field of work, each is dependent on the presence of the other. For example, without toilets, water sources become contaminated; without clean water, basic hygiene practices are not possible.